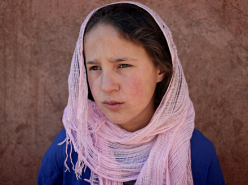 Bisbee is an interactive documentary that explores life in a small border community in southeastern Arizona. Bisbee combines video portraits, photography, soundscapes, community-generated content, and data visualizations in a multi-platform experience that encourages dialogue and provides deeper insights into rural life in the American Southwest. Bisbee strives to encourage positive change in the community through a multimedia experience and links traditional documentary film techniques with interactive components and community participation. Bisbee is a former copper mining community nine miles north of the Mexican border in the rugged Mule Mountains of Cochise County, Arizona. 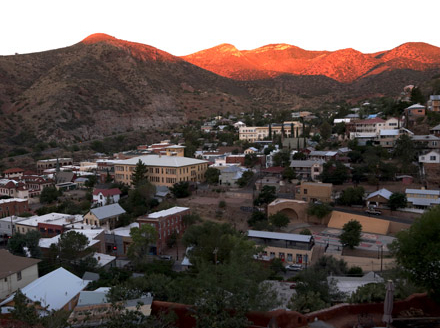 Between the 2000 and 2010 censuses Bisbee’s population dropped by almost 10 percent to lead the county and the city’s workforce was reduced by more than 20 percent. The community continues to lose young people due to a lack of economic opportunity’a problem compounded by the fact that the state’s economic decline in 2009 was the second largest in the nation behind Michigan. There are, however, almost 5,500 people still living in Bisbee. They take great pride in their community and its rich history, and they want to help shape Bisbee’s future. This is a story of hope and home, and it strives to both address the issues the community faces and help provide positive options for the future.